The son of a Canadian photographer who died in an Iranian prison has been granted the chance to have his bid to sue Iran examined by the Supreme Court. The Supreme Court of Canada will decide whether the son of the murdered Canadian photojournalist Zahra Kazemi can sue the Iranian government. The high court has agreed to hear an appeal from Kazemi's son Stephan Hashemi, who argues he has the right to sue the Iranian government for allegedly killing his mother and failing to return her body after she was imprisoned. As per its custom, the court gave no reasons for granting his request for leave to appeal. But the case will once undoubtedly ratchet up the rhetoric surrounding shattered diplomatic relations between Canada and Iran. In 2003, Kazemi, a Canadian citizen who was born in Iran, was taking pictures of protesters in Tehran, which prompted authorities to arrest her. 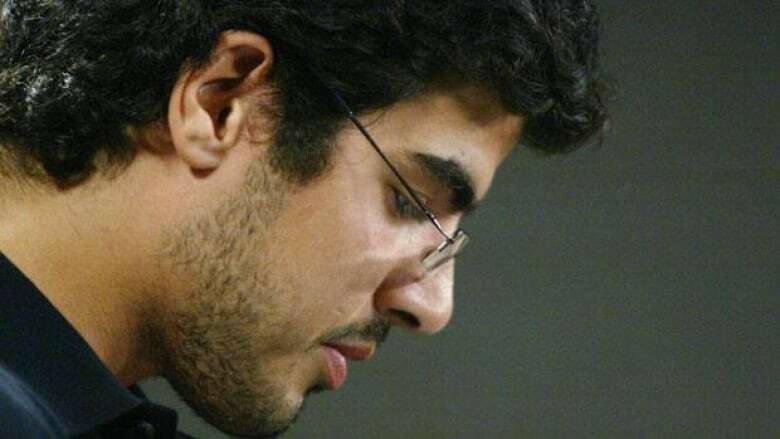 Kazemi was detained, tortured and raped in Tehran's notorious Evin prison. Kazemi later died in the hospital to which her jailers transferred her. The emergency room physician who treated Kazemi in hospital shortly before her death has since sought asylum in Canada. He has since spoken publicly, in graphic detail, of the head-to-toe physical injuries that the 54-year-old woman brought with her to his hospital ward from prison. Hashemi filed a civil suit against the Iranian government on her estate's behalf and on his own, seeking damages. He has waged a tireless campaign to have his mother's body returned to Canada. She was buried in Iran shortly after her death. The Iranian government had successfully argued before lower courts that it was immune from prosecution. Kazemi's lawyers argued that if that was true, the State Immunity Act was a violation of his rights. The Kazemi case has been a major irritant in the breakdown of Canadian relations with Iran. Canada recalled its ambassador temporarily at one point, and downgraded diplomatic relations with Iran. It limited diplomatic contact with Iran, and did not allow the country to post an ambassador to Canada. Last fall, Canada booted Iranian diplomats out of the country and shuttered its embassy in Tehran. The Harper government said it was acting to protect the safety of its diplomats. Meanwhile, the civil action brought by Kazemi's son has been inching its way through Quebec Superior Court since 2006. Hashemi's lawyers argued the case should proceed in Canada because it would be impossible to get a fair hearing in Iran. Lower courts have ruled that all the defendants have a right to immunity, and have dismissed a motion to have the State Immunity Act declared unconstitutional. The suit names the Islamic Republic of Iran; its leader, Grand Ayatollah Ali Khamenei; former Tehran prosecutor Saeed Mortazavi; and prison official Mohammad Bakhshi. Mortazavi — nicknamed "Butcher of Journalists" — was Tehran's prosecutor general in 2003, and responsible for signing off on Kazemi's detention. A Iranian parliamentary investigation subsequently found Mortazavi had a role in the fatal torture of at least three anti-government protesters jailed during the mass demonstrations that followed the country's contentious 2009 presidential election. That election returned the prosecutor's close ally, President Mahmoud Ahmadinejad, to power. Mortazavi was taken to prison himself briefly last month, raising speculation that he would face punishment for the prison deaths, but he was quickly released. Afterwards, Ahmadinejad denounced Iran's judiciary, accusing it of being run as "family institution."